I gave myself a chemical peel at home last night. Pretty good results so far! I'm just glad I didn't burn myself lol. My skin feels a lot smoother. I will be giving myself another peel in a few weeks, maybe less. I also used the Glycolic acid on my back & IT LOOKS GREAT. Even better results than my face had. Pink/light Red Marks From Benzoyl Peroxide? Can I Still Use Chemical Peel? I have beaten acne! I have no active pimples but need to remove the red marks, tretinoin is working too slow and I need them gone by school pictures, here's my progress from February when I started my regimen. What's the best treatment?! Laser ,chemical peels, I have no clue, please help! Isn't Going To A Dermatologist Worthless For Red Marks? Have To Stop Bp For A Few Days. What Will Happen? 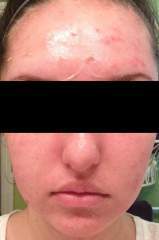 The Regimen And Chemical Peels--Please Help! I Stopped Drinking For This? 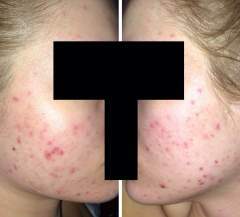 What works better for acne? What works better for red marks? I always felt that laser is a much more invasive procedure. However, i seen someone post that their skin got rid of red/brown marks due to doing ipl treatments. Daily 40% Lactic Acid Peel? Everyone With Facial Redness Read This! PIH takes 20 PLUS years to go away!